Opening the door, I look at the thermometer on the porch and see that its in the low 60s, but soon it'll get warmer. There isn't a cloud in the sky. I look at the mountains fifteen miles away and can make out trees, boulders, pockets of snow. After I get dressed and make some coffee, I pick up the newspaper and head out to my car, and relish the feeling of the cold rubber of my Subaru's steering wheel under my knuckles as I drive off. 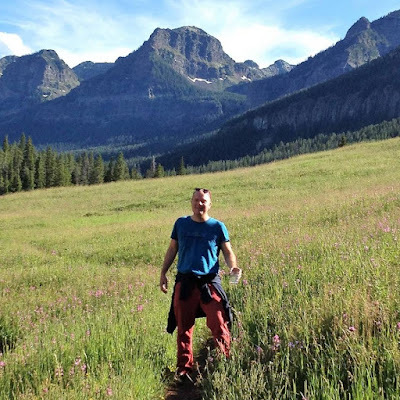 When I first arrived in Bozeman, I found the tranquility disquieting. I'd become so used to noise, in Montreal and Istanbul, initially, and then later again in New York. The year I was at the Harriman Institute (2007-2008) I had an apartment on the second floor of a building in Columbia University Housing. The double-decker tourist buses used to go up by street, and the people seated up top were at the same level that I was when sitting on my bed looking out the window. If I'd wanted to, I could have tossed them a sandwich while seated on my bed. This summer was the first I've spent in Bozeman, at least in its entirety. Usually, I've left sometime in May and come back in August. There are reasons for going away. 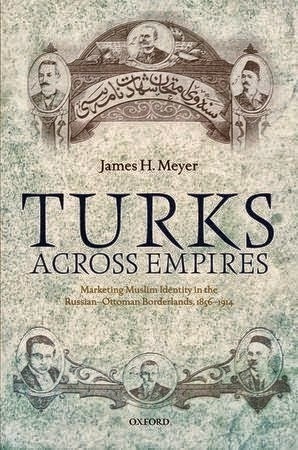 I do a lot of research in Turkey and the former USSR. The archival documents and other types of materials (newspapers, old and rare books, etc) are generally not online. To do it right, you need to go there and live there and spend time learning the lay of the land in the archives, as opposed to just parachuting in and locating the documents that back up your argument. Between 1999, when I started my MA, until 2009, when I started my job at MSU, I spent five out of ten years outside the United States. 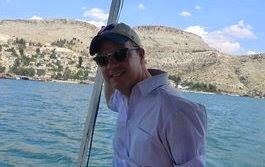 And, once I started working at Montana States, I typically spent my summers and even winter breaks in Turkey and the former USSR. Those are the times when I can get there now, so I go. But because I'll be on sabbatical for the 2016-2017 academic year, I wasn't forced to squeeze into the archives during the summer. Instead, I spent the summer in Bozeman. I did a lot of work, actually, preparing for the sabbatical. Mainly, I was reading up on new topics and trying to do all that I could in the US before heading abroad. But at the same time, I enjoyed my summer in Bozeman. Fall and winter are also nice seasons there (spring can be blustery), but the summer was really quite incredible. I took some nice excursions, too. I went trout fishing a number of times in June. Growing up in Michigan I fished a lot with my Dad and other relatives when I was a teenager, but this activity mainly involved going to inland lakes in the western part of the state, where we fished with bobbers. 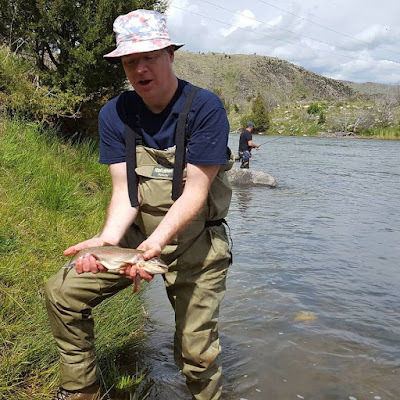 Here, we were still fishing with live bait--I don't know how to fly-fish yet--but we fished in rivers and streams around Bozeman. All in all, it was pretty amazing. I went with friends who knew what they were doing, to varying degrees. One is from Idaho originally and was the master of the group, patiently teaching the rest of us. The others were more experienced than me, but also learning. The first time we went out together was on the lower Madison, which was a really memorable experience. A couple of times that day we spotted a bald eagle flying up and down the river, searching for prey. I'd never seen a bald eagle before in my life prior to moving to Montana, and now I've seen them lots of times. On another occasion, a friend and I were driving up the Hyalite canyon just south of town to do some fishing in a small stream. Right before I pulled off the road to get to the access point, we spotted a large bird (an osprey?) flying up from the stream with a large fish twitching in its talons. We naturally took this sign as a positive omen. All of this is rather new to me. To be honest, when I first moved out to Montana I wasn't sure I'd like living in Bozeman. And it was a bit difficult for me when I first arrived. It was hard enough living in a small town at first, but what was even harder for me was reconciling myself to living full-time in the US. Since going up to Montreal for college, then spending seven years teaching in Turkey, and then spending five of ten years abroad doing graduate and post-doctoral studies, I'd lived the great majority of my adult life outside the United States, and in places where English was generally not the primary language. Moving out to one of the more provincial regions of the United States was definitely a challenge. Maybe hardest of all was, at age 40, finally being responsible for someone other than myself. In my 20s I'd worked as an English teacher with few obligations other than taking care of my own lessons. In the 30s I was a graduate student, and again my main responsibility was to look after my own business. Suddenly in my 40s I was part of an institution, obliged to deal with students and attend meetings and be a good colleague and that sort of thing. It obviously wasn't the most difficult thing in the world, but it frankly took some getting used to. So, for a variety of reasons, I went through a period of time in Bozeman feeling somewhat out of place. Toward the end of August I was riding my bike around campus, taking pictures of things before the students came back. The town was incredibly peaceful, and I frankly wasn't looking forward to having my space inundated with a bunch of 18-21 year-olds again just yet. But the students are nice. When I first got to MSU, I felt a bit sorry for myself that I wasn't teaching at a more prestigious university, one like the places where I had done my graduate studies. I didn't realize at the time that a place like Montana State is actually where I belong, where I would encounter students who in many cases hungered to learn something about the world beyond the United States even if they didn't have any personal experience abroad. Or who, in other cases, didn't give a rip about the areas of the world that I work on, but who developed an interest in these places while taking my classes. In a country where people often pay tens of thousands of dollars a year in tuition in order to replicate privilege, my students are much more economically diverse and include a lot of older people--students in their late twenties, who spent years outside of school working--as well as veterans, small-town kids, ski-bums who've come from the mountains, and a large collection of personalities and attitudes. These are people, I realized, who actually might be able to benefit from someone with my education and experiences. People who, precisely because of their (usually) limited background in thinking and interacting with other parts of the world, should be taking classes on Russia and the Middle East. It's because of this realization, among other things, that I decided to attend graduation last spring for the first time. I'd been waiting, frankly, to get tenure before purchasing my academic regalia (which are awfully expensive), but once the moment came I was really glad that I had done so. Montana State--which I often jokingly refer to as "the Harvard of Gallatin County"--might not be the most academically prestigious school in the land, but people can get an excellent education there, especially in a great department like mine. It felt like a real privilege to be a part of what was going on. The last year and a half has been an eventful one. My book was published at the end of 2014, I was awarded tenure the following semester, and now I'm on sabbatical for the year. In a couple of weeks, I begin a nine-month period as a Fulbright research scholar in Russia, where I'll be researching in Moscow and St. Petersburg. All in all, it's been pretty great. Kind of a dream come true, to tell you the truth. But maybe greatest of all was the realization, back in late April, when I was finishing things up in the spring semester, that I would actually miss this place a lot. And, wonder of wonders, I would actually miss my students and teaching and my colleagues, and this is something that I probably didn't expect much when I began working at MSU in the fall of 2009. Being a university professor is a weird job. If you're in a tenure-track position, you spend the first six years basically on probation, wondering if you're going to eventually be fired--which is the only alternative to getting tenure. It's not easy under these circumstances to develop a real sense of belonging, because you're constantly on guard. On top of everything else--like losing your employment at a time when you still have tens of thousands of dollars in student loan debt--who wants to became attached to a place when you might have to end up leaving under professionally humiliating circumstances? But once it finally did work out, in addition to the sense of personal relief and professional accomplishment that you feel, there is a recognition that you've been living somewhere for six years. As the line in the John Lennon song goes--life is what happens to you when you're busy making other plans. And now that I've left to go abroad and do research, I realize that, once this year is done, I'll actually be looking forward to getting back to what I do and where I live. And in this respect I'm grateful for this summer, for the hundreds of books I checked out through interlibrary loan, the dozens of pages I wrote, and the seemingly endless hours I spent preparing for a year of research in Amsterdam, Istanbul, and Russia. For the fishing trips and the hikes, and for the countless hours I spent riding my bike around town, ducking into bars and coffeeshops to read when I got tired of sitting on my balcony or working in my office at home. And for the early-morning drives in my car out of town, gripping the cold rubber of my steering wheel with a coffee by my side while I peered out to see the next eagle, moose, or elk that might cross my path. I'm a Turk across empires, of course. By that I mean that I feel like I belong simultaneously in more than one place, and that certain places--Istanbul chief among them--will always be a part of me. This is why my book meant something personal to me--I felt connected to the individuals I wrote about not because I found their invocations of nationalism to be inspiring (not at all), but rather because I identified with their ability to re-invent themselves with every new stop that they made in their lives. Being a Turk across empires means being adaptable, even to surroundings that might initially seem completely foreign to you. That was the case for me when I first arrived in Bozeman, Montana seven years ago. And now, as I spend time in some of my older stomping grounds, I carry this place with me.